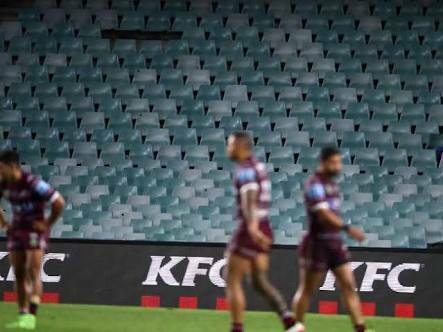 Last week the NRL saw the worst crowds in 30 years, which merely highlights the larger issue: Where have all the players worth watching gone? Love him or loathe him, LaVar Ball is here to stay. However, it’s how we rose to power that interests me the most. It seems we’ve been here before. An endeavouring few in Sydney’s South-West are bringing football to the huddled masses, giving hope and familiarity to refugees new to our shores. As professional sport gathers more articulate data, the concept of sports psychology is evolving, as a winning mindset is established early, especially in the video game realm. Lonnie Smith’s is your classic Cinderella story…if Cinderella happened to beat up mascots and climb mountains of blow. We caught up with Gold Medallist, pioneer and Rugby Union Sevens player of the year Charlotte Caslick ahead of her attempt to put Australia back on top of the sevens ladder. The 2016 instalment of the historic Sydney Hobart upon us, TBS spoke to the skipper of Wild Oats, and eight-time winner Mark Richards. Meg Lanning stands front and centre to the growing professionalism of women’s sport. The Big Smoke chats with our only successful test captain. The 2016 sporting curse: Finally the bride, but at what cost? 2016 has been a historic year in lifting sporting curses. But I contend that what they’ve lost outweights what they’ve won. Every so often, an actual book passes over The Big Smoke’s sportsdesk. “The Game of Their Lives” chronicles the footballers who fought, and ultimately perished, in the horror of WW1. The inquest into the death of Phillip Hughes is ideally unnecessary, but unforunately crucial. Whichever way the ruling goes, it remains entirely not cricket.